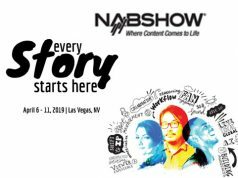 Las Vegas, NV—JOBY, makers of the GorillaPod flexible tripod, debuted a telescoping tripod for pro video content creators. 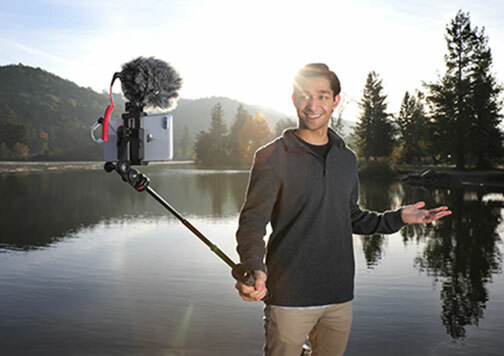 The GripTight Pro TelePod is marketed as an ideal tool for vloggers and videographers working with action cameras, 360° cams, smartphones and other small-format imaging devices to create content for social media platforms. 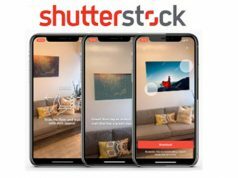 The device supports the rapidly growing trend for real-time video content on social media platforms, including YouTube, Instagram, Facebook, Snapchat and Periscope. 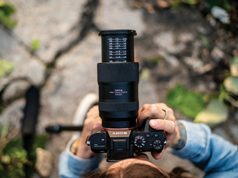 The GripTight Pro TelePod combines the function of a tripod with a lightweight extending pole to capture unique perspectives. Advanced features include adjustable tilt for selfies and landscape or portrait shooting modes for standard horizontal formats like YouTube as well as vertical video for Instagram and Periscope. The GripTight Pro TelePod weighs in 12.7 ounces and leverages tested locking GripTight mounting technology. The handheld tripod/vlogging stick works in four modes for versatility. When a firm grip is needed, users can close the TelePod’s legs to hold steady. If they are looking to grab an overhead or 360° shot, they can use the extended grip by closing the legs and extending the mount to capture the action. In addition, it can be uses as an elevated tripod, so that users can stand and elevate the view. The mount as well as legs can be extended to create an elevated camera/360° stand. Finally, to get close to a subject, the device can be used as a tabletop tripod by expanding the legs and retracting the mount. 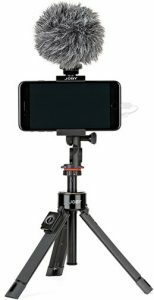 JOBY’s GripTight Pro TelePod comes with a grip-mounted, removable Bluetooth Impulse remote shutter. It enables users to capture shots without touching the connected phone. It also includes a tilting tripod mount for cameras; a cold shoe pro mount to add lights and mics; and a pin joint mount for GoPro and other action cameras. The TelePod is built with fiberglass-reinforced nylon and stainless steel. Moreover, it telescopes from 13.5 to 31 inches for extended reach. Also, the adjustable legs click-set into three positions for stability on uneven surfaces. They also flatten to a maximum of 14 inches for added stability in windy situations.